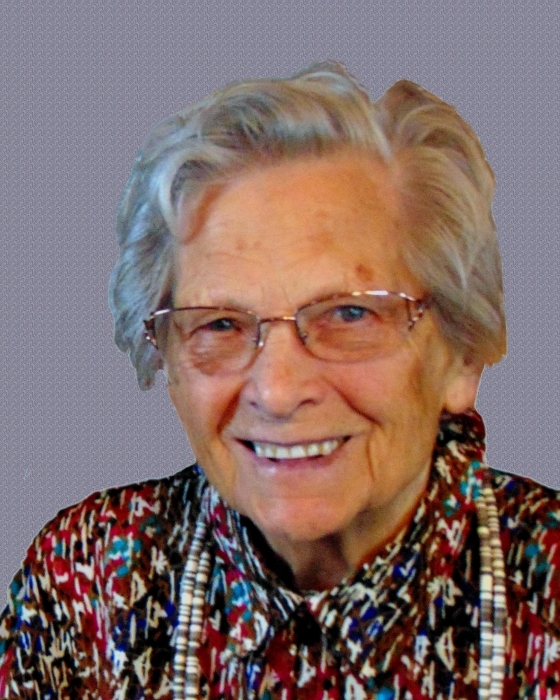 Auktje Aurelia Oosterhoff was born November 23, 1922 in Aduard,Groningen, the Netherlands. She was the 5th of 13 children born to Sippe Renardus Bosch and Trientje Bosch, nee Ritsema. On May 29,1947, she married Pieter Izebrand Oosterhoff.In the spring of 1951 Dad and Mom immigrated to Canada with one daughter, leaving the Netherlands for new opportunities. They arrived in Halifax on April 1, 1951 and travelled by train to McBride, B.C., where they lived for a few months before relocating to the Bulkley Valley. For the first five years, they called Les Donaldson’s farm and logging camp on Burnt Cabin Road, their home.Shortly after arriving in the Bulkley Valley, Mom learned that her Mother had died unexpectedly, which was very difficult to deal with being so far from family. It was a blessing that two of her sisters also immigrated in due time and came to live in the same community.In 1956, our parents bought a farm at Round Lake, where Mom lived the rest of her life. As hardworking pioneers, they cleared and established their farm and raised their 8 children there. She was a devoted wife and mother and worked hard to provide for our needs. Although Mom wasn’t thrilled about living on the shore of the lake, she came to love this beautiful place and truly put her roots down deep.Mom loved gardening and had a large vegetable garden as well as a vibrant flower garden. Travelling was also one of her passions, visiting Australia, England, Africa, Ireland, Italy, Greece and various parts of Europe. She was an active Women’s Institute member and loved crocheting and knitting, which certainly helped her keep busy during the long winter months. All her children and grandchildren have an afghan by which to remember her. The Bulkley Valley Fall Fair was also very important to her and she entered her vegetables and crafts every year, continuing right to 2018, when she still exhibited a few crafts and took home some prizes.Mom’s prayer had been that she be able to live in her own home until the end of her earthly life. Her prayer was answered and after a long and full life, her Lord and Savior called her home on Sunday morning, Nov. 4, 2018. Mom died peacefully in her sleep at the age of 95. She was predeceased by her first daughter Trieneke, and two great grandchildren Joshua William and Saul Tobias.